Emotions often mediate and facilitate interactions among human beings and are conveyed by speech, gesture, face, and physiological signal. Facial expression is a form of nonverbal communication. Failure of correct interpretation of emotion may cause for interpersonal and social conflict. Automatic FER is an active research area and has extensive scope in medical field, crime investigation, marketing, etc. 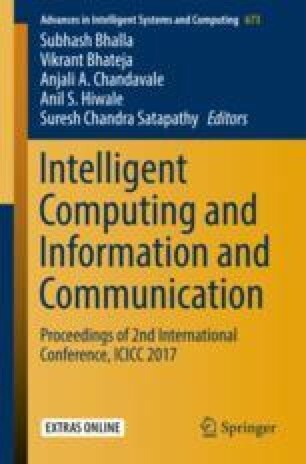 Performance of classical machine learning techniques used for emotion detection is not well when applied directly to images, as they do not consider the structure and composition of the image. In order to address the gaps in traditional machine learning techniques, convolutional neural networks (CNNs) which are a deep Learning algorithm are used. This paper comprises of results and analysis of facial expression for seven basic emotion detection using multiscale feature extractors which are CNNs. Maximum accuracy got using one CNN as 96.5% on JAFFE database. Implementation exploited Graphics Processing Unit (GPU) computation in order to expedite the training process of CNN using GeForce 920 M. In future scope, detection of nonbasic expression can be done using CNN and GPU processing. Caifeng Shan, Shaogang Gong, Peter W. McOwanb, Facial expression recognition based on Local Binary Patterns: A comprehensive study, Image and Vision Computing, V. 27 n. 6, pp. 803–816, May 2009. https://doi.org/10.1016/j.imavis.2008.08.005]. O. Russakovsky, J. Deng, H. Su, J. Krause, S. Satheesh, S. Ma, Z. Huang, A. Karpathy, A. Khosla, M. Bernstein, et al. Imagenet large scale visual recognition challenge. arXiv preprint arXiv:1409.0575, 2014. C. Szegedy, W. Liu, Y. Jia, P. Sermanet, S. Reed, D. Anguelov, D. Erhan, V. Vanhoucke, and A. Rabinovich. Going deeper with convolutions. arXiv preprint arXiv:1409.4842, 2014.